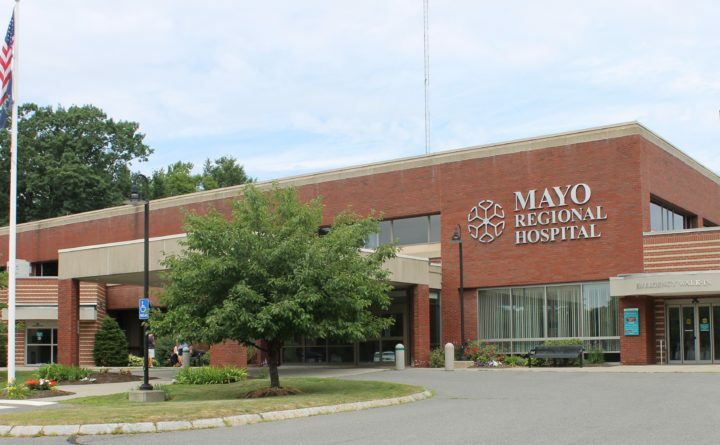 DEXTER, Maine — The Dexter Town Council unanimously approved the proposed merger of Dover-Foxcroft-based Mayo Regional Hospital with Northern Light Health system during a meeting Thursday night. As Mayo Regional Hospital officials and Hospital Administrative District 4 directors consider the potential merger with Northern Light Health, a statewide system of hospitals, the question remained whether the public would be able to weigh in via a vote in order to provide area legislators with insight as they work to draft legislation that would pave the way for the deal. Dexter is one of 13 communities in HAD 4, which oversees the hospital. The Dexter council had planned to include a pair of questions concerning the proposed merger on the June 11 referendum ballot, but a decision is needed before the end of April in order for legislators to complete work on their bill. “It’s a waste of time and responsibility putting it to a referendum,” Dexter Town Councilor Marcia Delware said, given the time constraints. She said the council is authorized to make a decision for the town. “I think it would behoove us to vote this [June 11 vote] down and vote the town is in favor of this merger,” she said. Delaware said at a public hearing held in Dexter a week and a half ago that she did not hear much opposition to the plan, simply questions on what it would mean for Mayo Regional Hospital to join Northern Light Health. The councilors voted no on holding the June vote then gave their unanimous approval on the pair of nonbinding questions that would have been on the ballot. Councilors indicated on the first question that the town of Dexter favors the agreement and plan of merger and, on the second question, the town requests that the local legislative delegation and Maine Legislature take actions necessary or reasonable including but not limited to amending or revising the HAD 4 charter in order to facilitate the completion of the merger. The HAD 4 charter includes guidelines for dissolving, which must be done via a unanimous vote of the 13 member communities, but the language does not specify how to proceed with a merger and this is what legislators are trying to clear up. Foster said should anyone have questions on the proposed merger then they can contact him. He said he has been to all three community forums, with the last set for 5:30-7:30 p.m. Thursday, April 18, at the Penquis Valley School in Milo. The representative said the merger plan calls for the continuation of most major services at Mayo Regional Hospital, including obstetrics, for a minimum of five years. The press release containing Vienneau’s statement also said that because Mayo Regional Hospital is owned and operated as a HAD its board is made up of members who are elected by the communities served by the hospital. HAD 4 is the only HAD left in Maine and is a quasi-governmental agency with taxing power. The effect of the merger would be to transform the HAD into a Maine charitable tax-exempt nonprofit corporation that would have a community-based board but would not have taxing authority. This would relieve HAD 4 communities from potential liability for the certain indebtedness of the hospital. Dexter’s vote is the first vote of the 13 communities. The remaining 12 towns are expected to have votes in the coming weeks, pending legislation that would instruct them to do so.